Looking for a way to pamper yourself this holiday season? We LOVE these Nature's Sleep Slippers! 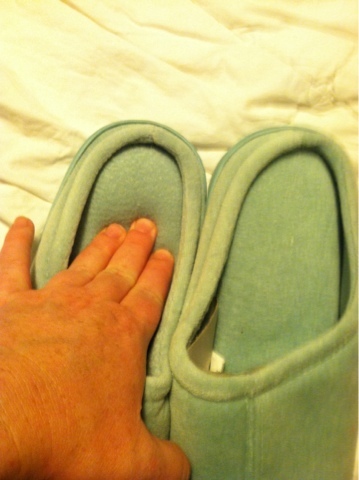 We got the soft blue color and they are SO comfortable. 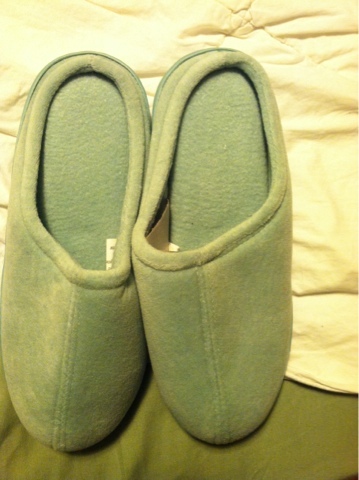 They have memory foam, so you feel like you are walking on clouds! Use code: BEARS50 to save 50% off anything on the site! I would keep these for myself. I need a new pair of slippers. I would keep them. I could use some slippers! Thanks so much for the giveaway! keep them, they are too nice to share!! I need some new ones! I'd keep them. My current slippers are falling apart. Either keep them or give them to my mom. Thanks. I'd give them to my Mom! I would give these to my grandma who just entered a nursing home. I would keep these...they look so comfy! I would like to keep them for myself! suebunting1977at(gmail)dot(com) I would keep them! I would give them to my mama! Keep it for myself and give my grandson my small full size bed. I would so keep them! Thanks for the giveaway! I would give them to my daughter-in-law.